We Will Get Anyone Out. Our service provides convenience, fast results, and less stress for you and your loved ones. Often, those who are in need of a bail bondsman in Greenville, North Carolina must seek funds from someone in their family. This can place tremendous stress on them. Unfortunately, the funds simply are not always available. A Be Out Bail Bonding from Greenville makes it easier to quickly find the money that you need to get out of jail. While we can’t help you with your case or your defense, we can get you out of jail so you can start forming your defense while free. That’s the key reason that bail bonds are so important – they offer a solution to a problem that many face but feel as though they have no way out of. So what makes us the trusted source for bail bonds in Greenville, North Carolina? A lot of different things. We take pride in being the best bail bondsman in Greenville. Here are some of the primary things that help us stand out. We specialize in all types of bonds including traffic bail bonds, felony, domestic violence, criminal, and surety bonds. No matter what type of situation you’re in, we can help. In addition, we also know that even the most serious or the most minor charges deserve attention. We can likely help you no matter the amount of your bond, within reason. Our team is here and ready for you day or night, around the clock. We take pride in offering bail bonds 24 hours a day, 7 days a week and are always here when you need us. With 20 years of experience in the field, we know what it takes to get you out of jail quickly. We can answer your questions and deal with the problems that may arise. For this reason, our experience shows through in everything we do. Our agents take the time to answer the questions that you and your family may have about your bail bonds. We know that it can be confusing to understand everything about the process of getting a bail bond. Our licensed agents want to ease your concerns and give you the knowledge that you need. We also offer the best possible rates for bail bonds. In fact, you can get a bond for as little as 5% of the total bond amount as a down payment, and our overall fees are low. We know that you’re already in a tight spot, and don’t want to add to the stress. That’s why we take steps to keep our rates as low as we can. More than 89,000 people call Greenville, NC home, and while most of them will go through their lives without ever running afoul of the law, sometimes a simple mistake could lead others in the area to find themselves in a tough situation. Many at some point or another will resort to the services of a bail bonds in Greenville NC. At A Be Out Bail Bonding, we believe in making sure that our clients are able to get out of jail quickly, at the lowest possible cost, whenever they need to. We work hard to make sure that you get the kind of results you deserve from your bail bonds in Greenville NC so you can get back to your life and start working on making sure you can move forwards. But a surprising number of people don’t fully understand what Greenville bail bonds in Pitt County are for, how they work, or what helps us stand out as being the right call for you whenever you need them. Taking a closer look at bail bonds, what they can do, and why our team is the best source for Greenville bail bonds is important. For a free consultation do not hesitate to contact us 24 hours a day at (252) 227-9873. When someone is arrested and charged with a crime, they’re held in jail until bail is posted. Bail is essentially a deposit – you make the bail payment as a show of good faith that you’ll show up on your appointed court date. If you do so, the bail is refunded. If you don’t, you’ll have an additional criminal charge placed on you, have an arrest warrant issued, and be unable to gain the refunded amount from your bond. That’s it in a nutshell, and since most people don’t just have the funds needed to post bail laying around they end up turning to a bail bondsman. Getting a bail bonds in Greenville NC means that you enter into an agreement wherein we pay your bail in exchange for a percentage of the total amount – it’s our fee. This way you don’t have to worry about raising the money needed for your own bond and can get out of jail as quickly as possible. As Greenville residents, we want to help our community. And that means making sure that you are able to get the bonds that you need. Our overall goal is simple – give everyone the opportunity to be free form incarceration so they can move their life forwards. That’s what we do every day, and we do it better than anyone. If you find yourself in jail, your first step should be to secure freedom so you can start taking the next steps towards your overall defense. That means getting out of jail. Contact us so you can get the bail bond that will give you freedom to move on. We are fully licensed, experienced, and ready to provide you with bail bonds no matter the type that you need or the amount. We’re here whenever you need us, 24 hours a day. Contact us for help. 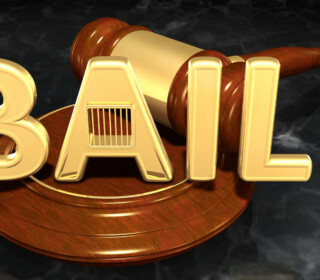 Did you know that failing to get bail means you can spend up to four weeks in jail? You can’t afford to stay that long a. For many people, getting pulled over at a DUI stop is a nightmare scenario. In reality, there’s not much you need to wor. With nearly 11 million arrests happening every year, there isn’t enough space to imprison all the people who are caught. Fast great service…serving all counties!!!! !